We all know that throwing a birthday party for the kids can be a little stress-inducing. 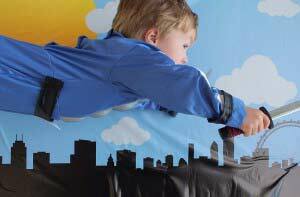 The unreasonable demands and the temper tantrums can make us all feel a bit crazy. 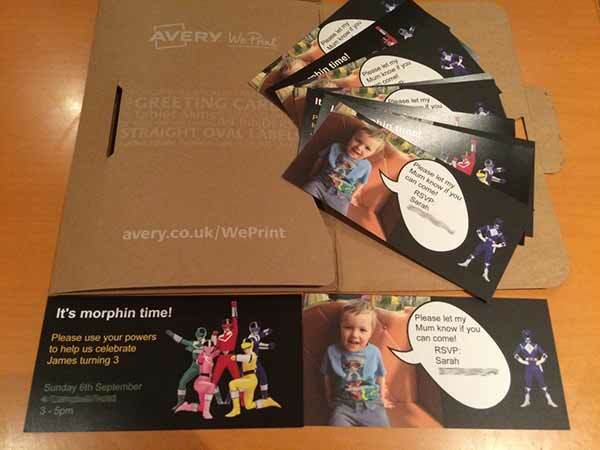 Sarah, one of our Avery product managers used Avery WePrint to get her son's Power Rangers birthday party mighty-morphin ready! 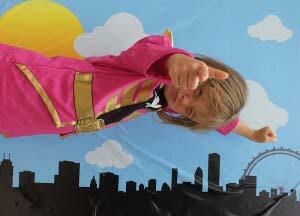 Check out how she used wall stickers and postcards to get the party started for the new Power Ranger recruits. "My son turned three this month. In contrast to his older sister who Knows What She Wants, I thought I would get away with a quick and easy birthday tea for a few of my friends and their children. Out of politeness rather than intention I asked him “So, James, it’s nearly your birthday! What would you like to do?” His reply was short and to the point. A Power Ranger party? 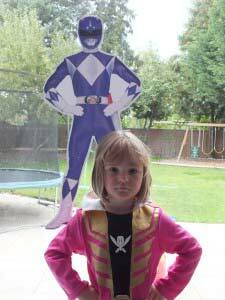 I don’t really know what a Power Ranger is or does. What would a Power Ranger party look like? What’s more, it sounded like I would have to go to all the effort of putting together a themed party for only James and Dexter to appreciate. Fortunately, being an Avery employee I have lots of excellent party resources at my fingertips. This year, with the recent launch of the Avery WePrint print it for you service, I decided to put their products to the test. I managed to convince James that he should allow his sister to join the party, and he also consented to inviting Dexter’s brother to join us. This meant it was (almost) worth creating invites. WePrint offers a range of card products and I selected the DL size greeting card to create my Power Ranger themed invitation. After I quickly uploading some images of the rangers, it was easy to put the design together using WePrint’s online designer tool. I was really pleased when the product arrived – the cards looked shiny and glossy and very professional. It was just a shame only a few people were going to get to see them! Next, decoration. 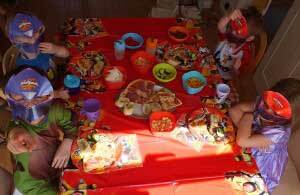 Amazon offers hundreds of Power Ranger party bits and bobs and I was able to kit the house out with table cloth, napkins, plates and party bags for just a few pounds. However, I wanted to add a few surprises for James when he woke up on his special day so used WePrint's wall stickers to create out a few Power Ranger posters for me to put around the house. These looked really fun, cut out and plastered on windows… it felt like we had a houseful of Rangers! Finally, party games. The night before the party my husband and I took relish in freezing various action figures in blocks of ice. During the party we challenged our rangers to release them using water pistols. Fortunately the weather was lovely (such a surprise after a rotten August) and this kept the kids busy for a good 20 minutes while the grown-ups sat in the sun eating cake. It didn't cost too much to get the party ready, but the WePrint products really helped the kids get excited! Speaking of which, after painstakingly creating a Power Rangers cake (which I am too embarrassed to share on this blog) I had lots of excess black, red and white icing left over. This lent itself perfectly for another game – model your own power ranger figures. I would post a photo but they all got eaten! So despite my reservations, it was easy to throw a Power Ranger party and it was actually really fun to keep it small. I am a little worried what he might ask for next year though…"
Have you got any tips or tricks on how to throw children's parties? Comment below and let us know! Check out our Celebrations page for more design tips for big occasions.